GERB announced extremely controversial idea for the prevention of drug addiction. "With fellow MPs we put the question why not provide in preventive tests, which are made of students, to no drug test. If we have timely intervention, we can keep many of these children," said the head of the parliamentary group of party and chairman of the Committee on internal security Tsvetan Tsvetanov discussion on the occasion of World day against drug Abuse and Illicit trafficking. 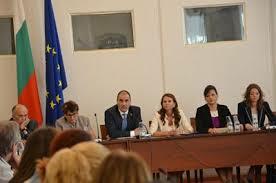 The idea is to test drugs is part of the annual check-ups with GPs students, but Tsvetanov gave no further details. The proposal is controversial because by law prophylactic examinations are required, ie drug testing would also be required. Now drug tests can only be made to establish an offense - for example driving after drug use, run over someone on the road after drug use, etc. There is no legal logic to put into practice compulsory drug testing in this on an equal footing. In any case, is not only legally but also constitutionally questionable introduction of such a rule or requirement. Must have a legal record, and it is connected with any breach or offense. The very use currently is not criminalized. Currently only the law on pre-school and school education, which should enter into force on 1 August this year, there is a law relating to drugs and children. There in art. 172 enrolled obligations of students. Among them is "not involved in gambling, not to use tobacco, alcohol and drugs." Nowhere, however, does not indicate how establishes the use of tobacco, alcohol or drugs. But surely obligatory norm for testing children for drugs will face a problem in that they are incapacitated and everything must consent of parents or, where such missing - consent of the court. It is not clear from what age children will be tested, nor can the parents refuse check drugs. By law prophylactic examination is mandatory and a parent whose child does not go to your doctor is subject to a fine of 50 to 100 lev penalty but did not have and no patient or parent fined for missing tests. Prevention itself, which is applied to older children - from 7 to 18 years is minimal. Once a year, they are entitled to medical history, measurement of height, weight and chest circumference measurement of blood pressure, evaluation of physical development, examination of visual acuity Urine test strip. Tsvetanov not announced what will be drug testing - blood, urine or field test strip. All options are, however, quite expensive. For example, currently in laboratory combined test for the presence of morphine, codeine, heroin, cocaine, marijuana and some drugs in urine cost 27 lev For comparison, the entire check-up, who pays the cashier is 9 lev addition, GPs will insist and to increase the cost of the review paid by NHIF, as it will have a new activity. Tsvetanov reminded that the parliament rejects the legalization of marijuana for medical purposes. "I assure you that in the Bulgarian Parliament majority will always greater against legalizing marijuana," he said. In the spring NGOs asked to authorize the use of hemp for medical purposes and decriminalize the possession and cultivation of hemp for personal use. * This article is reprinted from within. "Now."